Updated June 24, 2018 03:38 PMIf you buy a farm, you’re going to learn a lot of new and exciting things about pigs. That’s been Monica and Duke Gastiger’s experience, anyway. After years of trying to find a location and after a spot in Ferguson Township didn’t pan out, the Gastigers purchased Windswept Farms in Patton Township in late 2016. The farm sits on 57 acres of land near the University Park Airport, and it’s where their new restaurant RE Farm Cafe will open sometime in early 2019. The menu will feature items sourced from the restaurant’s own backyard as well as other local farms. Their original idea was only marginally less ambitious: the Gastigers would rent a portion of a family farm somewhere and use the land to feed their restaurant. “Now we’ve gone 180 degrees the other direction,” Duke Gastiger said. While the cafe itself still has ways to go, they’ve been putting the soil to good use. 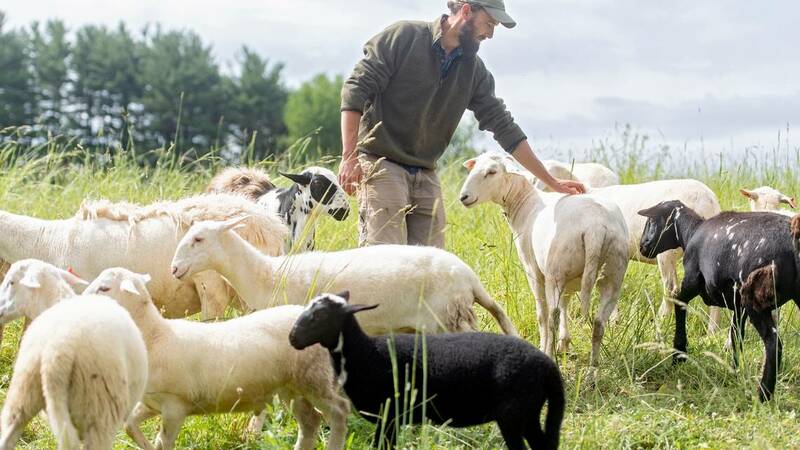 Windswept Farms recently launched its own CSA and Monica estimates that volunteer farmhands from throughout the community have amassed close to 3,000 volunteer hours clearing brush, helping with irrigation and planting/harvesting crops. “We have an unbelievable amount of resources to continue to tell our story about the local food system,” Duke Gastiger said. “Every week is a new adventure learning to do something new,” Monica Gastiger said.